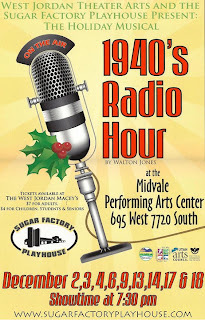 Larissa Explains It All...: 1940s Radio Hour Opening Night! We opened last night and everything went fantastically! This is a feel good, warm-fuzzy, holiday show for the whole family. 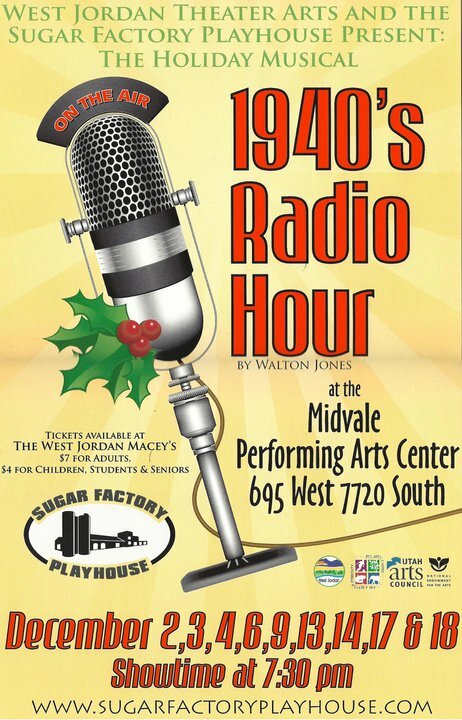 We sing songs from "Baby It's Cold Outside" to "Boogie Woogie Bugle Boy" to "I'll Be Home for Christmas." Very fun, I promise! No way you can get out of that theater without laughing at least half a dozen times and having a big smile splashed upon your face.